...been turned? Who lead him astray from the Blue and Gold? What more could we have done for him and did not do? What happened? 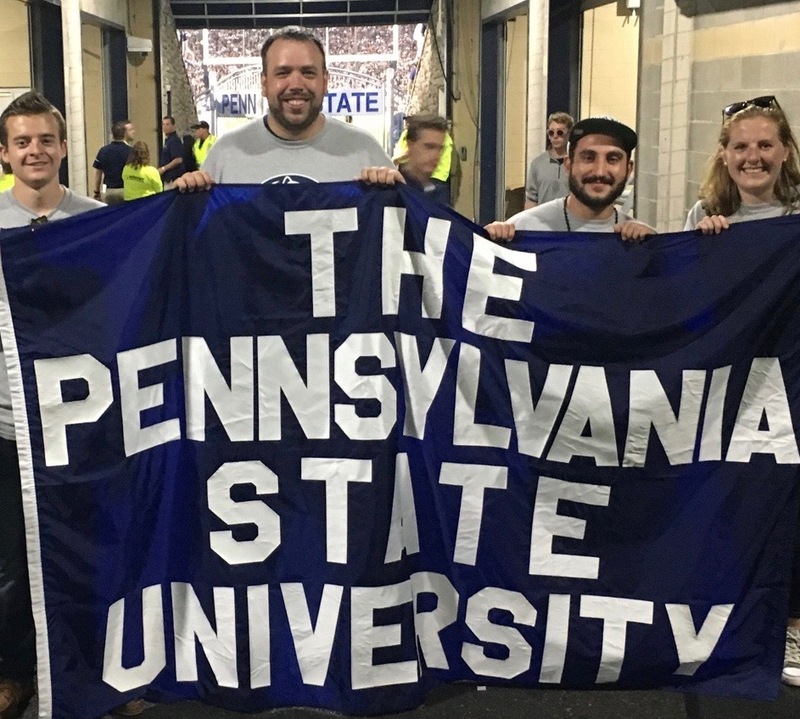 Why is Brian Conway '12 hold up a Penn State banner? Well, it’s a long story. In short, Penn State recently held its annual All-University Day during Georgia State weekend. During that game, each Commonwealth campus from Altoona to Shenango was recognized. Just after the band performed at halftime, Conway and other student representatives held flags on the field emblazoned with their home campuses. While such a task would typically be reserved for the President or Vice President Conway of PSU Graduate and Professional Student Association, neither could attend. The rules of succession deemed Conway, the Speaker of the Assembly, next in line. After practicing his wave for a week, Conway had all of about 3 minutes to take in the view of 107k cheering PSU fans from the field before security shuffled him off the field. On the experience, Conway said, "I may have been wearing blue and white that day, but I bleed blue and gold... and wear green shoes! Go Irish!"